Jay, VT – The government-appointed receiver overseeing operations at Jay Peak and Burke Mountain, following federal and state fraud accusations filed against the resorts’ co-owners last spring, has reached a $13.3 million settlement agreement with Citibank that the receiver says will continue to fund operations at both Vermont ski and snowboard resorts. 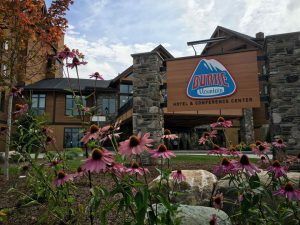 It will also allow most of the contractors who built the recently opened Burke Mountain Hotel & Conference Center to finally get paid, receiver Michael Goldberg indicates, although $3.5 million of that debt would remain outstanding according to the Vermont State Agency of Commerce and Community Development secretary. A federal court hearing has been set for October 20 in Miami to seek court approval of the settlement. In April, Vermont and federal Securities and Exchange Commission (SEC) officials each filed civil lawsuits against resort co-owners Bill Stenger and Ariel Quiros, alleging that the two men used the EB-5 Immigration Visa program to defraud foreign investors in the resorts’ expansion in what they’ve termed a “ponzi-like scheme.” They’re accused of diverting roughly $200 million to other projects not associated with the investment, while Quiros, of Miami, has also been accused of using another $50 million of the money as his own personal slush fund to pay personal expenses including $2 million to purchase an apartment at Trump Place in New York. Both men have denied the charges, and neither remains formally associated with either ski resort, although Stenger has reportedly been cooperating with Goldberg. The Miami court froze Quiros’s personal and professional assets when the case was first filed last April. While the SEC has asked the court to order Quiros to repay investors, Stenger was specifically excluded from that request. On September 1, Stenger publicly announced that he’s reached a deal with the SEC to resolve the charges without admitting any wrongdoing. The terms of the agreement resolve only the federal civil case against Stenger, and leave him exposed to potential criminal penalties. They also bar him from ever again being involved in an EB-5 program. The Vermont State Attorney General has yet to announce whether or not he’ll pursue state criminal charges against one or both of the men, although in January 2015 the state began an investigation into the finances behind the hotel development at Burke, which finally opened to guests earlier this month. The EB-5 visa program grants permanent residence, also known as a “green card” to foreign investors who contribute at least $500,000 to an approved program, provided that program generates a minimum number of jobs in an economically challenged region. In this case, that was Vermont’s Northeast Kingdom. Roughly $400 million was raised from approximately 800 foreign investors to fund projects at Jay Peak and Burke Mountain, and for a medical research facility to be built in the nearby city of Newport where funds were also dedicated to the redevelopment of the Renaissance Block downtown. While Jay Peak pioneered the use of the program to fund ski industry developments, others have since followed, including Peak Resorts with a program at its Mount Snow resort in southern Vermont. The Citibank claim arises from a $15 million personal line of credit extended to Quiros. He’s accused of improperly diverting funds from accounts used to secure that line of credit. Under the terms of the deal negotiated with Goldberg, creditors and investors are prevented from pursuing claims against Citibank. In the meantime, as far as skiers are concerned operations at both Jay Peak and Burke Mountain will continue as usual under Goldberg’s oversight, although he has previously indicated that he expects that the financial situation will likely ultimately be resolved by the sale of both ski resorts. Following Stenger’s departure, Jay Peak named former resort marketing Director Steve Wright as the resort’s new General Manager, while shortly after last season ended Walter Elander was named the new Mountain Operations Director. Elander formerly served as Jay Peak’s head of Planning and Development.